Going completely alone on a trip might not be for everyone. Some people really need to be around others and have company most of the time. Some might be wanting to visit a country that doesn’t have the safest record for travelers and a female might not feel like visiting a non-female friendly country alone. If you do not have a friend to go with then this could present an issue as it’s often hard to find someone to go on a trip with, particularly if it’s longer than a usual week vacation. There are other ways to tackle this issue though. Probably not the cheapest option but one of the easiest is to join an existing group who specializes in providing single group travel. Although they don’t all target solo travelers solely, many group trips tend to have at least half their clients going along on their own making it easy to hook up with others. These trips range from weekends away to huge trans-continental overland tours lasting many months so you could find yourself on a city break weekend to Prague or a three month expedition from Cairo to Cape Town! These trips will often have transport and accommodation included but you will likely be spending more money than if you do it independently but remember you are getting a guide and the company of others. If you need to keep to a tight budget but still want guaranteed company of others then using a scheme like hospitality club or couchsurfing where you end up staying with a local for a number of nights and normally they will show you around their city or area. These schemes are done on a voluntary basis and can be a great way of seeing ‘off the beaten track’ places that the guidebooks have omitted. There is always the chance of making very good friends along the way and the opportunity to meet others through catch-up events. Other ways to keep company on your travels could be volunteering although these tend to involve being in one place longer than you would normally as a traveler. However there are many volunteer schemes that involve short stays, even just a week long. Some do have expensive fees and fall more under the voluntourism banner but it’s always possible to make yourself known to local schools or other organisations and offer your services. Finally you could just resort to staying in friendly hostels that have dormitory rooms. These are great for meeting other travelers as even the most shy person will generally strike up a conversation in a dorm room. Theres also hop on, hop off services like Stray Travel in popular backpacking destinations. I could see it being of use to someone who’s leaving home for the first time and wants some assurance of safety, though personally I’d recommend doing it alone and figuring out how to meet others to maximize your personal growth. I’d argue all of the options mentioned here except for the singles group tours are just versions of solo travel. 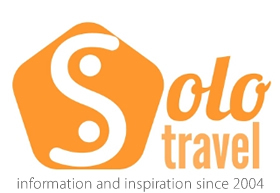 As mentioned elsewhere here, solo travel’s actually about the people you meet along the way.